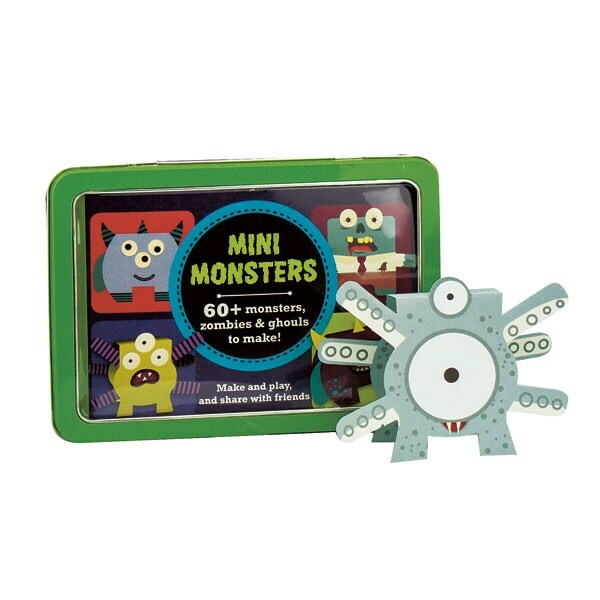 Mini Monsters Tin 60+ Monsters, Zombies & Ghouls To Make! Will your monster have one eye, or three? Will it be goofy or ghastly? In this book, tear out any creature you like, fold it at the middle, and the two-sided paper alien or zombie—most of which are on the cute side—will be ready to enliven your playroom or cubicle.